Modern vacuum cleaners are not just a boring thing that stands in the closet and is waiting in the wings for cleaning. These are gadgets that recharge from docking stations, look like a weapon for ghost hunters and, most importantly, do not scare cats. However, these devices are either expensive or very expensive. Fortunately, Dibea D008 Pro is an exception to this rule. Today, we have tested the Dibea D008 Pro vacuum cleaner and wanted to share the results with you. So, if you’re going to buy a vacuum cleaner as a present, then this review will be interesting for you. In general, I decided to try something new and modern. I started looking for an interesting and adequate option in terms of price. Coincidentally, a curious offer from the Gearbest online store, namely, the Dibea D008 Pro cordless vacuum cleaner, came into view . I asked the store to send me a device for review and here it is in my hands. Dibea D008 Pro: What is in the package? When I collected the vacuum cleaner for the first time, I did everything exactly according to the instructions. In fact, it turned out that the installation of the Dibea D008 Pro is very simple. The main step is to install the main unit first. The main unit is divided into two parts: the hand grip and the dust box. The installation is very simple and it takes two seconds to get things done. As for the dust box to install the catheter or brush head, the need for cleaning is matched. Every time I clean the room, how to be careful, there are always some corners that are more inferior than negligence or cleaning. Then I start using Dibea D008 Pro vacuum cleaner! Build quality is normal, it is unlikely that it will fall apart in six months. Nevertheless, there are no obvious jambs and flaws in the structure. The Dibea D008 Pro comes with a suction power of 17000 pa on the higher and 9000 pa on the lower suction level. This also makes it suitable for more difficult accumulations of dirt. There are many various heads which facilitates the cleaning process and make the vacuum cleaner more convenient for use. The Dibea D008 Pro has a built-in 2200mAh rechargeable lithium battery. It takes about 4 to 5 hours to fully charge the battery. It can be used for 30 minutes with the standard file. If it is replaced with a strong file, it can be cleaned for about 15 minutes . 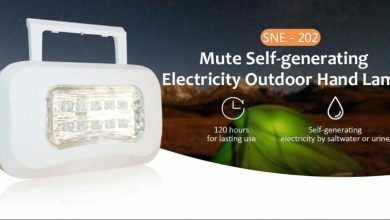 This endurance performance is sufficient for small units, but if it is a large unit, it will need to charge a few more times. The charging jack is arranged on the hand grip and there will be three green lights on when charging. When used normally, you can also know the current remaining power of the vacuum cleaner according to the number of lights in the indicator light. If there are three green lines than the battery is full. The vacuum cleaner fits into your hand like a glove. The Dibea D008 Pro weighs only 2.3 kg , which is relatively light. If it is replaced with other brush heads, the overall weight will be lighter, so lift your head to clean some high positions. By the way, the hand will not get tired also because the maximum declared operating time is 30 minutes at the standard speed. This is too short a time to feel how the forces leave you. The D008 Pro is a digital brushless motor. The power of the motor is up to 2500W. The power is very strong. The motor speed can reach up to 80,000 rpm, and the suction capacity is up to 17000Pa. Point . There is a gear shift button on the main unit, the key cap is large, and the tap is easy. The handle is equipped with a trigger. He pressed once – turned on the first speed, pressed again – turned off the device. You can control the speed by pressing the red button +/-. The Dibea D008 Pro’s dust cup capacity is not small, reaching 0.55L, can accommodate more garbage. At the same time, the dust cup can also be regarded as a four-stage filter. The primary external cyclone can effectively separate large particles of dust. The second stage is a stainless steel metal filter, which can be further finely filtered. The third stage is a composite multi-stage cyclone. The fine dust is separated into the inner and outer double-layer bins, and the last stage is the high-precision filter cotton. At this time, the air blown from the main engine is already clean. After finishing the cleaning process, you can disassemble the device as quickly as it was assembled. Just by pushing the button on the container you can quickly empty the garbage and clean the container. The dust cup is made of plastic. The stainless steel strainer inside, the inner and outer double-layer bins and the filter cotton can be washed directly, dried and reused. The Dibea D008 Pro comes with a pylon that can be attached to the wall with a screw or 3M glue to hold it at the right height. The vacuum cleaner is equipped with a relatively complete brush head. These brush heads, metal conduits and extension hoses can be combined at will to handle various cleaning and cleaning items . 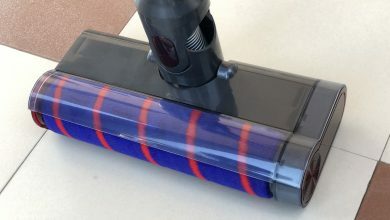 The use of metal conduits is high because the daily cleaning of the floor must be combined with the soft-bristled brush, but in the face of high-level cleaning objects such as bookcases, door frames, windows, etc., metal conduits can come in handy.The brush head interface is an excellent way to clean and vacuum. Thanks to the long enough metal conduit, it is also handy when cleaning the low environment such as the bottom of the sofa and the bottom of the bed. With a lighter weight, one hand can control the operation. Cleaning some narrow spaces, such as drawers and cabinets, the extension hose will be better than the metal conduit, because the hose can adjust the direction of the brush head freely when the body is not moving, so that the front and rear sides can be cleaned without dead ends. Among the four brush heads of the D008 Pro, the soft hair roller brush is the most important one because it is used to clean the floor. The soft bristle brush is made of soft suede material. The suede is densely arranged by very fine needles, so it can deeply clean tiny gaps without wrinkling hair. The soft hair roller brush uses an independent motor rotation, which uses an upgraded ball bearing inside and has a long service life. In actual use, the soft hair roller brush is very flexible, it can rotate at 270°, which makes cleaning more time-saving and labor-saving. With a brush, electric squeegee brush or soft feather furniture brush, Dibea D008 Pro can clean the table, bed, curtains, etc., especially the electric squeegee brush, which can instantly turn it into an efficient mites. Many seemingly clean surfaces, such as the D008 Pro, can still be sucked out of dust, especially those that are most easily overlooked or difficult to clean. Just 9000Pa of suction, whether it is beans, paper scraps or rice grains, can be sucked in instantly. So if needs to clean dust, debris, hair, small stones and other garbage, there is no problem. Of course, if it is a large volume of garbage, such as coins, stones, paper balls, etc., it can do nothing. The vacuum cleaner is called this name because it is mainly used to solve indoor dust problems. Compared with traditional wired vacuum cleaners, the advantages of handheld wireless vacuum cleaners are obvious. It is free from the shackles of wires and can clean the whole house in all directions. During the time when I experienced the Dibea D008 Pro, my home was described as “a new look”. Some of the hygienic corners that were rarely taken care of now are thoroughly cleaned in place. Compared with the brands such as Dyson and Lake, the price-performance ratio of the floor is very high. This Dibea D008 Pro is very good in terms of design, operation and cleaning effect. The price is also acceptable to most people. If you are still worried about the dust that can be seen and invisible indoors, then it is better to buy a Dibea D008 Pro for a health fight. Overall, I liked the Dibea D008 Pro. I will use it as my main and only vacuum cleaner for the house. The vacuum cleaner is great for cleaning parquet, laminate, tile and carpet, and, even with a long pile – there are no problems. Moreover, it is great for cleaning furniture and curtains. Pleasant bonus. Dibea D008 Pro is great for quick cleaning in the car. Even 20 minutes is enough to go through all the seams and climb into all the corners of the cabin. More from such a device is not required. Hurry up to purchase Dibea D008 Pro vacuum cleaner with 10% discount. Please feel free to ask questions if there are any.